Continuing a trend that started in early 2017, the economic upswing persists in the Western Balkans, being fueled by private consumption and investment. Exports increased and annualized current account deficits narrowed in most countries. However, many challenges prevail. Unemployment rates and public debt levels remain high. Annual inflation in Turkey increased markedly. 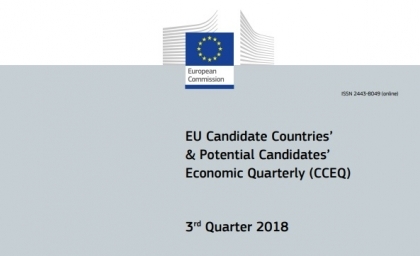 The European Commission published the ‘EU Candidate Countries’ & Potential Candidates’ Economic Quarterly (CCEQ) – 3rd Quarter 2018’ – an overview of economic developments in Albania, Bosnia and Herzegovina, Kosovo, Montenegro, Serbia, the former Yugoslav Republic of Macedonia, and Turkey. 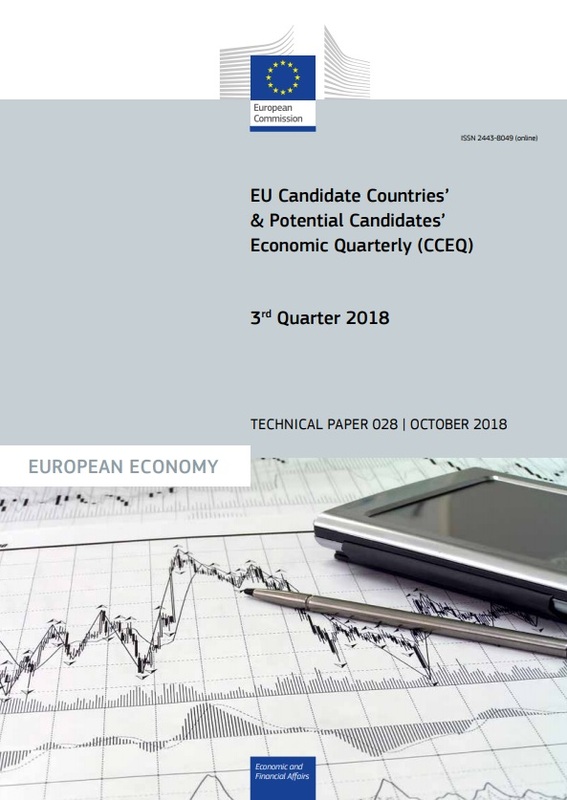 Overall, in the second quarter (Q2) of 2018, the Western Balkan’s GDP growth reached 4.3%, up from 3.6% in the first quarter (Q1). However, economic growth accelerated only in Bosnia and Herzegovina, Montenegro, Kosovo and the former Yugoslav Republic of Macedonia. In Serbia and Albania, GDP growth slowed marginally, whereas in Turkey, economic growth slowed down from 7.1% to 5.5% in Q2. Nevertheless, revived growth is not translating into more dynamic job creation, thus unemployment rate remains high. Average job growth rate in the Western Balkans fell in Q2, but employment levels kept growing slightly. That applies to most of the countries with only two exceptions: Kosovo, which experienced further decline in employment, and Montenegro, where job creation accelerated. The region’s labor market keeps facing great challenges with unemployment rates ranging from 11.9% in Serbia to 29.4% in Kosovo. Similarly in Turkey, job creation growth decelerated from 4.3% in Q1 to 2.4% in Q2. In addition, high public debt levels remain a source of vulnerability in most Western Balkan countries despite further progress in fiscal consolidation. Even though the economic growth continued to support the reduction of fiscal deficits in most countries, they also kept on experiencing underperforming capital expenditure, reflecting persistent weaknesses in the planning, selection and management of public investment. Therefore, continued fiscal consolidation (without, however, undermining much-needed capital spending) is necessary in a number of countries to rebuild fiscal buffers and reduce public debt levels which were the highest at the end of June in Albania (69.3% of GDP) as well as in Montenegro (62.8% of GDP). What else you can find in the report? Read more about the developments in detail by country here.